Back to reality today, after the April Fool, as I explore the townland of Tullynakill in County Down. Tullynakill is on the western shore of Strangford Lough, on the bay enclosed by Reagh Island and Mahee Island. The southern boundary of the townland runs up to the water’s edge. From this photo, it looks like you are completely hemmed in, but it’s definitely possible to sail out between the islands to the open lough. If you prefer to travel on land, the Tullynakill Road runs north-south through the townland, connecting it with the neighbouring townlands of Ringneill and Ballymartin. 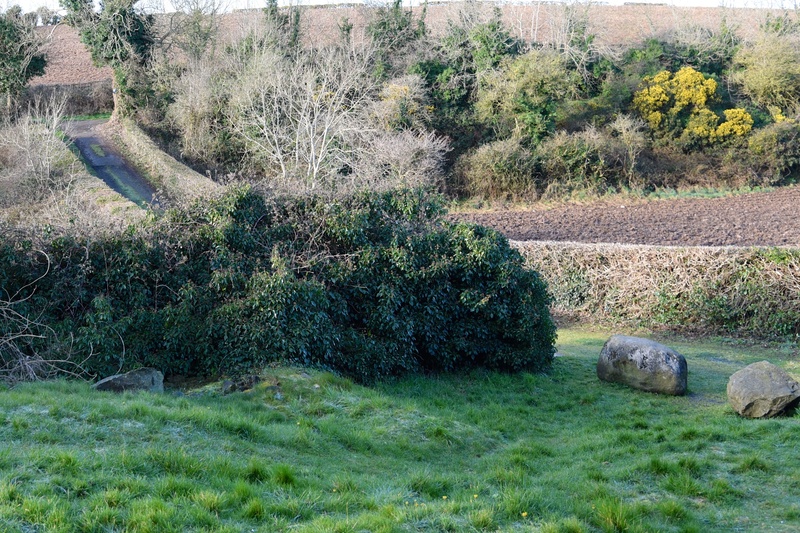 An old graveyard is located on Tullynakill Road. Park on the road, then walk along this lane between the fields to reach the graveyard. 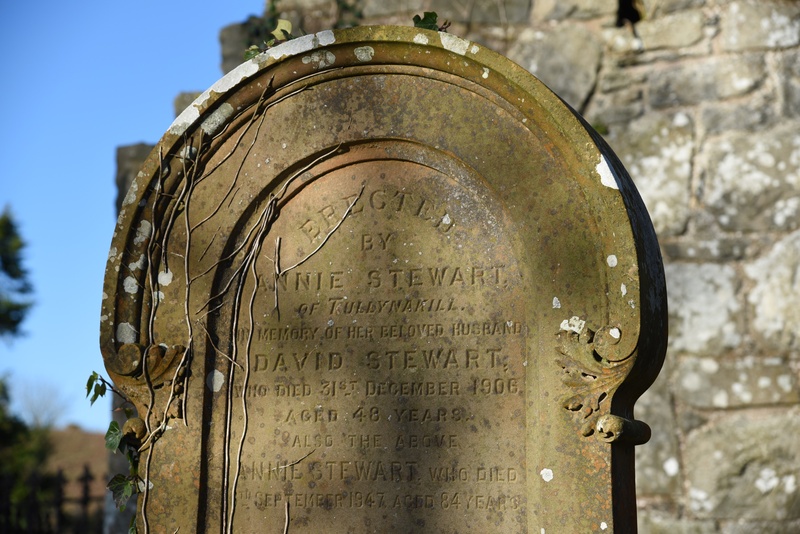 Here is one of the graves, for the Stewart family from Tullynakill. 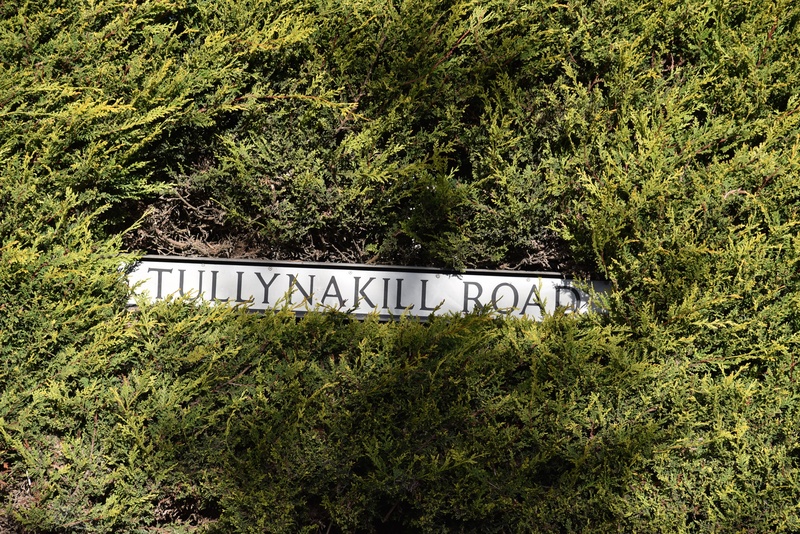 According to the PLACENAMESNI website, the name Tullynakill comes from the Irish Tulaigh na Cille meaning “knoll of the church”. There are records of the townland being called Tullynakill in 1615 and 1625, Tullomkill in 1617, and Tolinkill in 1659. If you’ve been following my blog for a while, you may be familiar with “Tully” from Tullycarnet, Tullynagee, Tullycore and Tullynagardy – all referring to small hills. And “kill” often appears in townland names related to churches, as in Killarn, Kilmood and Killinakin. 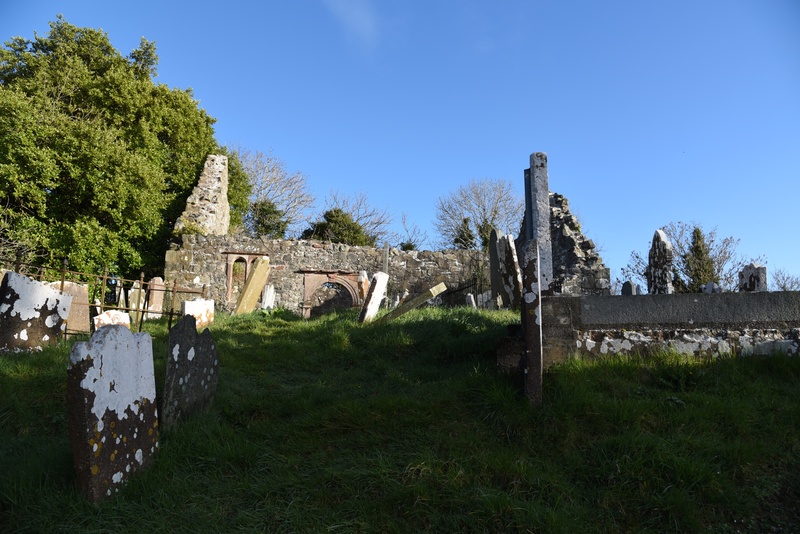 You can see the ruins of Tullynakill’s church at the graveyard. 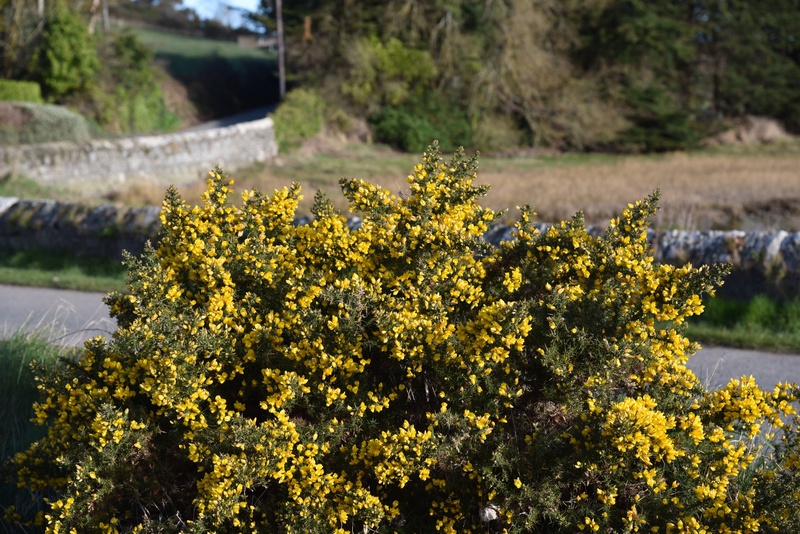 Back on the Tullynakill Road, I took one last photo of the gorse, which was just coming into bloom at the end of March. Which parish is the townland of Tullynakill in? Tullynakill. Which townlands border Tullynakill? To the north, Ringneill. To the west, Lisbane. To the south, Ballymartin. To the east, the lough. Tullynakill Graveyard was the burying place of the smuggler ‘Daft Eddy’ although his simple slab headstone was stolen (within living memory). What a pity the stone is gone – that would have been a good story. Or does your “living memory” claim mean that you know more than you’re telling? If I went looking in your garden would I stumble over a suspicious rockery? Wrong daft Eddie was not a smuggler he was a hero by warning a judge in kircubbin that he was about to be robbed by the merry hearts of down a band of smugglers and pirates on strangford lough. My gran, whose family are among those in the graveyard, Jellie and Coey told me how to keep the parish church open the good Presbyterian stock of Ballydrain, Tullynakill and Ardmillan would attend services just to keep the numbers up. That’s interesting. I did see some Jellie graves there, including one for Sarah Jellie (died 1885), erected by Robert Jellie of Ringneel. We live in a small Townland called Carragullan. It’s not on any road signs, but is mentioned on gravestones and has a lake Carrgullan lough.Can you find it?? 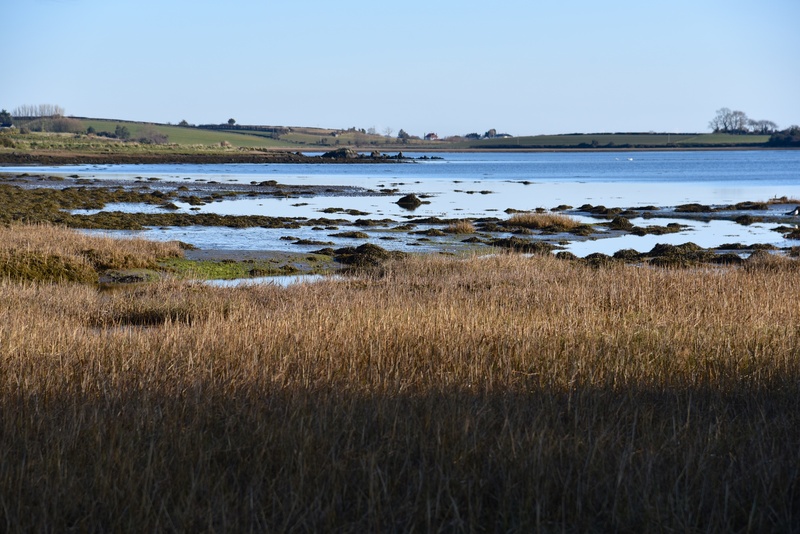 Clue…North of Ballygeegan south of Balloo. Good luck!